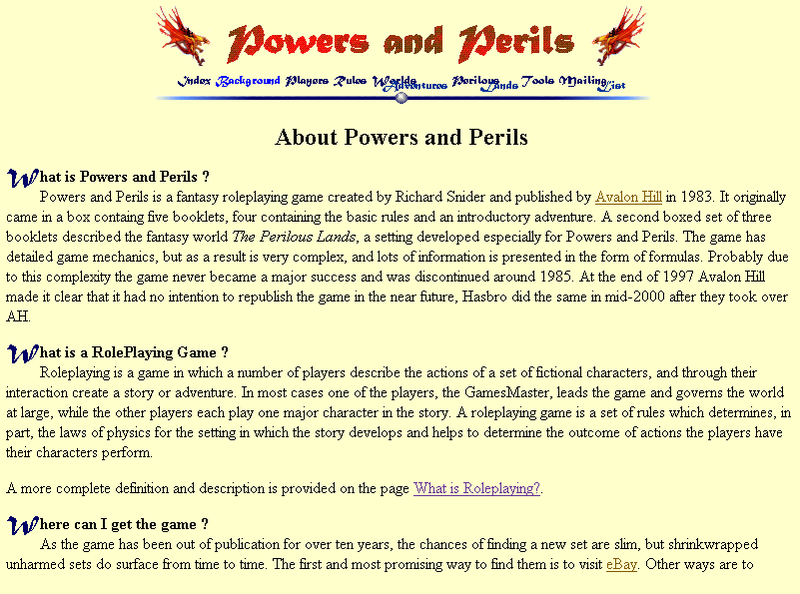 Powers and Perils and The Perilous Lands are trademarks owned by Avalon Hill Inc., a subdivision of Hasbro Inc. Heroes is (or rather was) a game magazine published by Avalon Hill. 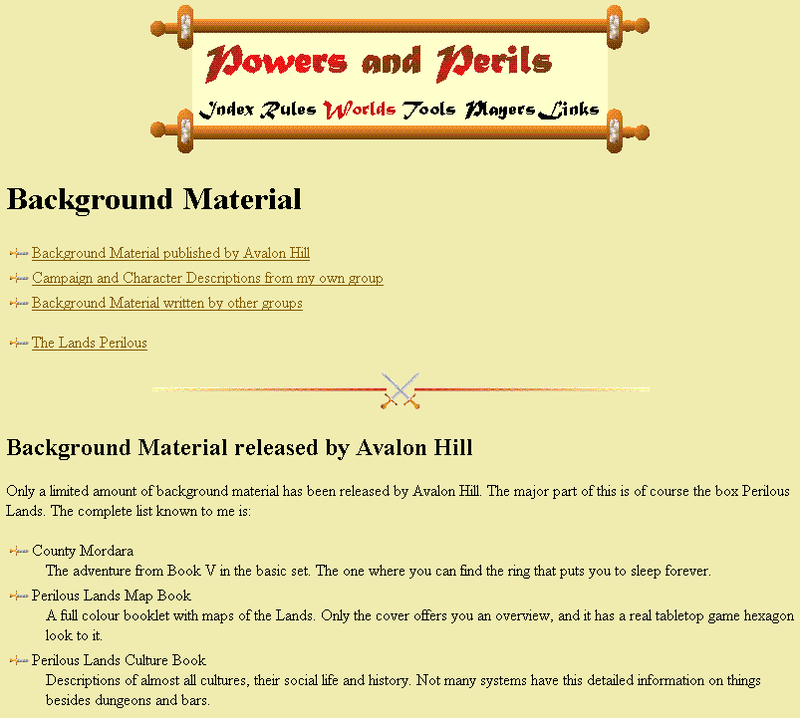 All materials on the Powers & Perils pages are copyrighted by their respective writers. They are listed at the end of their submission. Where no author is listed, the material is copyright 1998-2006 W. Broere. The design and implementation of this site is copyright 1998-2004 by W. Broere. The current layout uses CSS2 heavily. The technique of using fixed background images is described on css/edge. The pure CSS menu on these pages started out after seeing the demo on css/edge, but has been taken a lot further. Take a look at those two screen shots from Mozilla. See how the serpent continues below the main text and how the drop down menu cascades over the text and news items in the side bar. 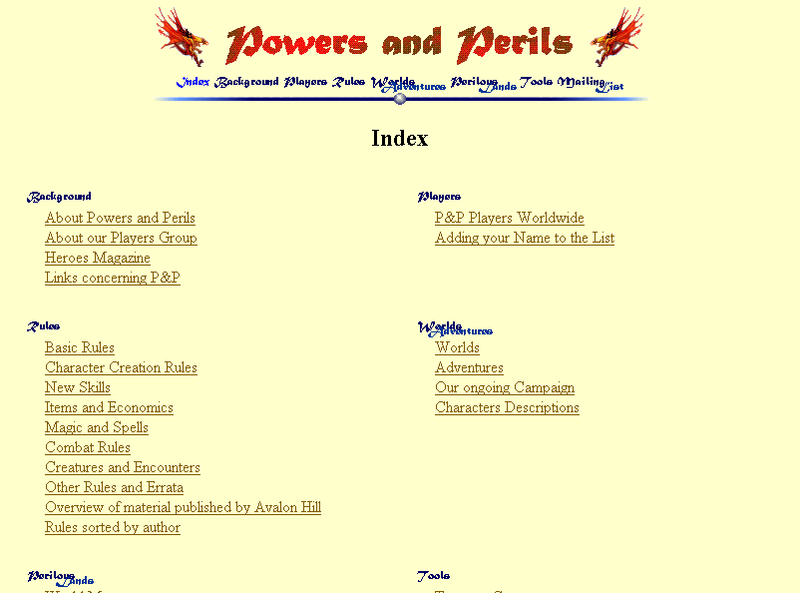 The site has changed its looks over the years. For posterity's sake, I have included a few screen shots from past incarnations.